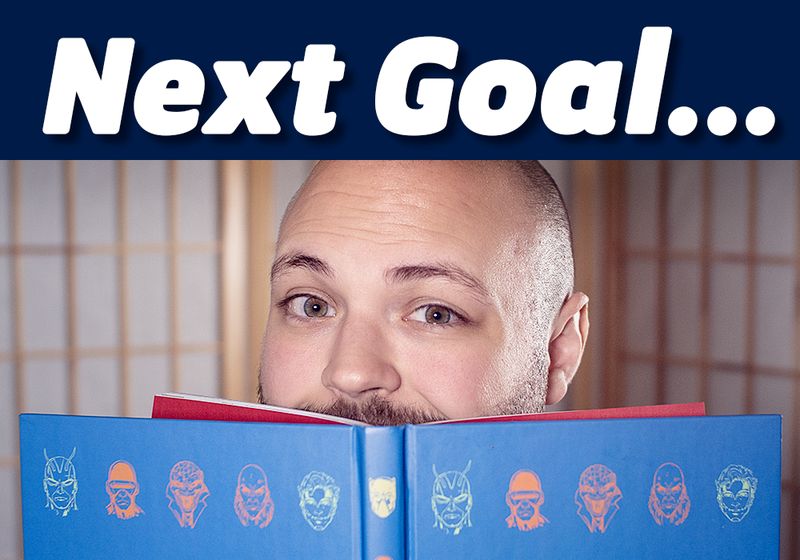 NerdSync is creating educational videos about comics & superheroes! Hey, you wonderful nerd! Thanks for checking out my Patreon page. I'm Scott, and I make videos about comic books and superheroes over on my YouTube channel, NerdSync! Every month, I critically examine comic books as an art form and tool that can teach us about real-world science, philosophy, history, and culture. Show that superhero stories can be deep and complex. Show that learning can be exciting when done so through a fun subject matter. In short, read between the panels and grow smarter through comics! As you may know, YouTube is becoming a tougher place for creators unless we upload videos frequently. So if I want to play the game, I have to sacrifice video quality for video quantity. Lower quality editing, less time on research, etc. I want to take my time with videos, publishing one or two per month and put all my time and effort into making something I'm proud of for you. I've been getting increasingly ambitious by building fun sets, buying props, and spending more time on filming and editing to make my videos unique and exciting for you nerds to watch! And I know that some of you might say I should just scale back, but these ambitious videos are FAR more creatively fulfilling to me than my older stuff. I want to keep pushing the videos to be bigger and better! Since I'm fighting the algorithm by posting these bigger videos infrequently, I need your help here on Patreon to keep spreading the academic side of superheroes and comic books! We have some great rewards for you! The tiers start at just one dollar per month with additional perks for those of you with the desire and ability to give more. You can get access to the private NerdSync Discord server where you can chat with me directly as well as all the other beautiful Patrons! You can get a monthly Twitter/Instagram shoutout where I will likely mispronounce your name! You can even get that beautiful name of yours on screen at the end of my videos! No matter how much you decide to give, know that I am grateful that you invite me and my videos into your life to listen to me ramble about comics. Your support and encouragement allow me to continue this journey I started 5 years ago. Thank you so much for taking the time to check out my Patreon page and for supporting NerdSync, you wonderful nerd! CHAT WITH ME DIRECTLY on our private Discord server! WEEKLY AUDIO UPDATES! Behind the scenes of NerdSync directly from my mouth hole. ACCESS TO THE PATREON FEED for basic channel updates and polls! YOUR NAME IN THE VIDEOS! Your name will be immortalized on screen at the end of my videos forever... or for however long YouTube lasts! TWITTER/INSTAGRAM SHOUTOUT! Utilizing the power of social media, I will horribly mispronounce your name on camera as I give you my sincere thanks each month! Uhhhh... I don't have anything else to offer you. Thanks for being amazing, though! Okay, for real. You're great, and I love you! Thanks for believing in me! VERBAL SHOUTOUTS IN OUR VIDEOS! Okay, fine! Here's one more reward! Having your name written out is nice, but how about having it said for all the world's ears! Pledging at this tier means I'll verbally thank you at the end of each new video! I will shed a single tear of joy just for you! Shhhhh... Don't tell anyone, but you're my favorite nerd! This is a big exciting thing I've been thinking about starting up as soon as I know there are enough people who want to participate! We'll pick a book, comic book, or essay to read that features interesting things to say about comics and superheroes. I'll ask you about your thoughts, ideas, and questions you have after reading, then I'll read and discuss all your thoughts and ideas on a podcast with (potentially) cool guests!